ROUND UP!! All things: WORD-WALL!!! 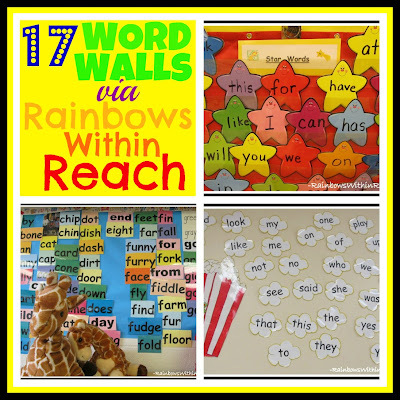 I have a blog post today that rounds up all styles and manner of presentation of sight words on the wall, on anchor paper, on a mural. YOU name it!! Here or there. Word walls, word walls EV-ERY-WHERE! I love your site! I know where to go when looking for the best ideas and links. Thank you for all your hard work. Come visit us sometime. Thanks.